Poll: What guns should be added? 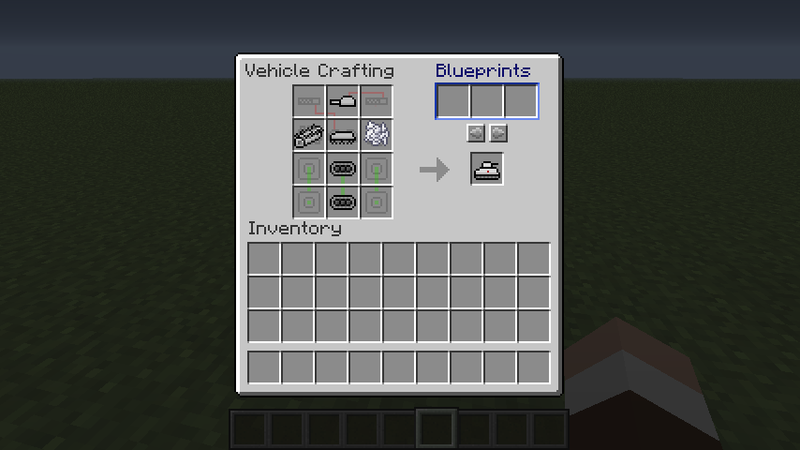 Poll: Which Vehicles should be added next? Poll: Should i try and get new models for the vehicles? I first made this content pack back in april , or started to. It is partly what got me into texturing with the Japanese Zero being the first texture I've ever made. Advanced World War 2 Allied and Axis Weaponry pack adds several real-world fire arms that were used during the second World War. This Content Pack includes an Axis gun and an Allied gun box, a set of Observation Binoculars, more than 10 new weapons including Anti-Tank Rifles, Flame throwers and more, two new vehicles, and two new bombs. Vehicles Included are the Mitsubishi Zero Fighter/Bomber (with slight changes from the one in BIlly's Plane Pack) and the Russian T-34. >RAF Grand Slam: Used by the British Royal Air Force in WW2 to break through the thick concrete housing over German U-Boat pens, and was the first bomb made to test the Earthquake Bomb idea. It was the largest conventional bomb used during WW2, weighing in at 22,000 pounds. >White Phosphorus Incendiary Bomb- ignites an area much larger than that of Napalm. 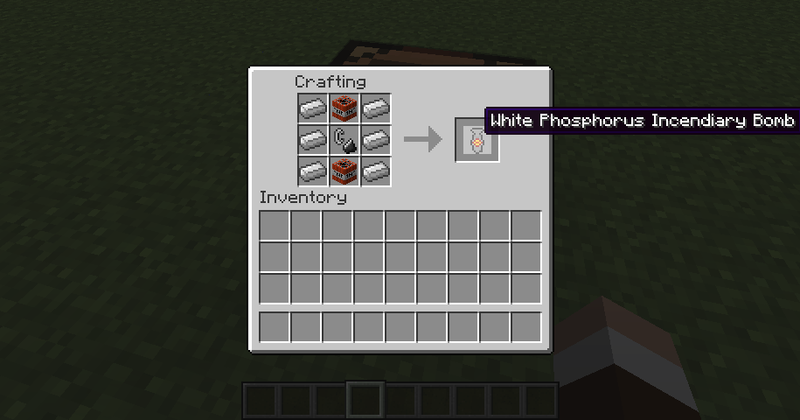 White phosphorus was a primary component in incendiary bombs and shells during operations and especially firebombing during WW2, the most deadly of which being Operation Meeting house, where the firestorms started by the firebombings caused more immediate civilian casualties than the Atomic Bomb did when dropped on Hiroshima. Also, if someone can get a screenshot of all of the weapons, boxes, and vehicles being displayed, uploaded it, and gave me the link it would be greatly apreciated. I'd do it myself but im doing textures fo ICBM's which uses the latest version of MC Forge. I don't know if its just me, but there is some bug out there that keeps crashing the game everytime I use one of your guns. They are not specific (e.g the type 97 works but the ithaca crashes it, the next time I load it, its the total opposite). hmm.. im not sure what happened. I may have accidently saved the version where i was expiramenting with more dangerous sounding fire sounds for the Ithaca, but i don't think so. I'll take a look. One or more of your mods are conflicting because I used this and I had no problems and all I have installed are the mods that this is dependant on. I doubt it. 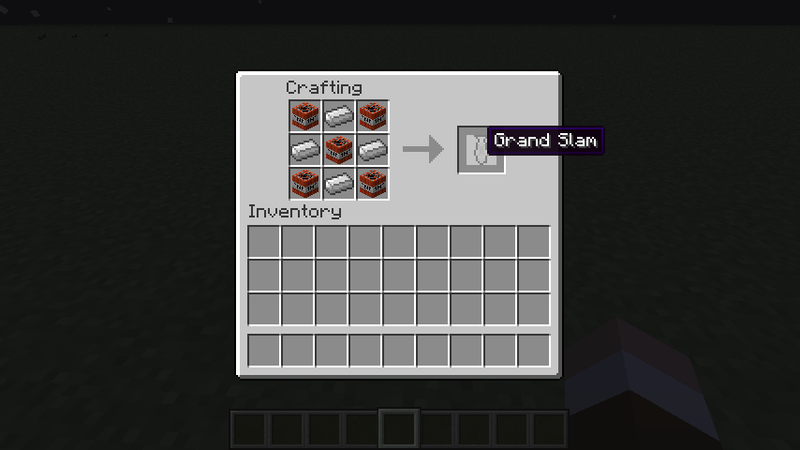 Optifine works fine with flan's mod. Besides the rest are dependant on flan's mod. This pack works fine for me. The flamethrowers are a little buggy, but it's a problem with how Flan's Mod recognizes the fire, not a problem with the pack. The flammenwerfer is very useful against testificate villages. It sounds good, but i would like more pictures. I was born in COnnecticut, but my grand father from my motherside was from Germany and also im hungarian in parts from my fathers side. So a large portion of my ancestors are from germany. I believe my great grandfather faught for germany in World War One, where they were just defending their allies, and my grandfather in fought for the U.S. as a Forward Observer during World War Two.Wow, over A THOUSAND DOWNLOADS overall. Thank you people, im glad you like my content pack! Guess somebody didn't read the OP..
What do you mean we didn't? 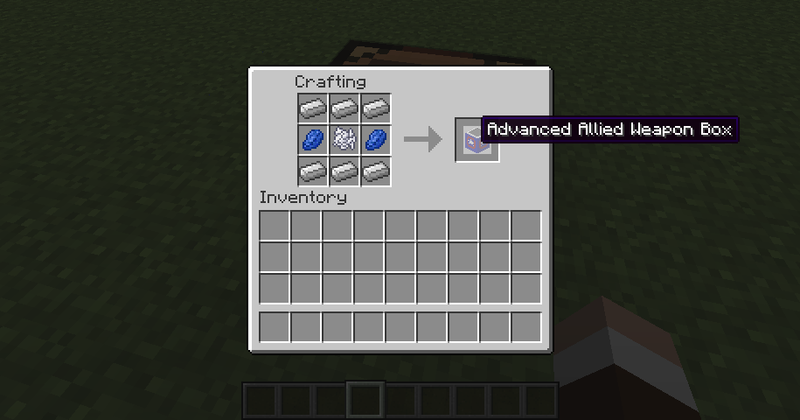 There are only pictures of crafting, nothing else. I asked for pics of guns etc. which you could cleary see where I said "more pictures". So guess somebody didn't read my whole post.. Yes, but he said in the OP if somebody could upload more pictures.. but he can't because he's busy on something else..So he can't exactly upload pics and work on the other thing, so thats why he's asking for other people to upload the pics, so unless you're going to upload some pics, then don't ask for more pics. Exactly. thank you for bein another one who reads the entire OP, unlike otherpeople who start to criticise it immediately after seeing something. I would take them myself except im helping make some texture for another mod, which runs in the latest version of forge FLan's is incompatible with. Thanks, mistic. I apologize for being almost entirely inactive with you and billy, but until Flan updates so its compatible with Forge i cant do anything with the planes because i need to help work on ICBM's. Make sure you let billy know about this new content pack thread, though. It's alright man, take your time with it. I get annoyed of how many people don't actually read OP's. I do agree with "no pics, no clicks" but I see thats it's still early in development so it still shows some promise at the least. I have been on forums for many other things (Not just minecraft) and the same sort of people come up critising something without actually reading it through.. so screw all those "DIZZ MAWD NO WURKZ! U FAILzZ11!1" haters..
And technically there are pics, just not any showing the guns. I had one showing everything, but that was made using the old version of the Axis weapon box that had a texture now illegal in germany, so i had to change it. And I see that the forum morons finally recognized our... prowess! 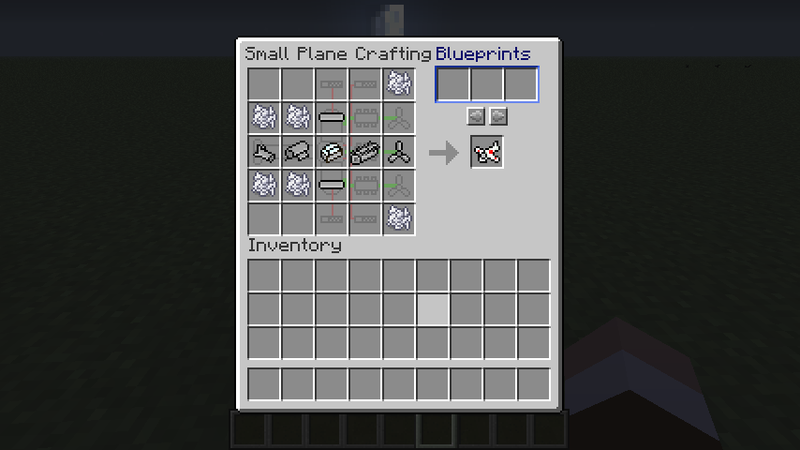 Think as for planes you should be helping us with the pack though. Still count on you soon as we put out new models. Yes, they finally did. Also i will definitely be adding about half the materials on the poll and work on some of your new textures once my Aviation Academy ends next week, which has been keeping me very busy.P.S. Over two thousand and seen hundred downloads! not much considering what most mods get, but xonsidering that this is just an add-on i felt was somewhat needed, i think its pretty good. NOTICE: Next release WILL contain the following: Johnson's 1941 LMG, FG-42, Mauser C-96, the Mondragon, a modified M1 garand (fully automatic), and, once i find a good ole' sound for a silenced pistol shot, tne Webley Assisin's pistol. Well I got my issues resolved. Apparently on a cleaner version, I was able to find the error report and found that your pack was looking for the sounds folder but it somewhat didn't come with it. So I just threw the WWII pack sound folder in and everything worked. Ou man! it looks awesome!!! i can do whatever you want... making mods for Minecrat is really great fun! If you are interested in me please can you contact me on Skype? Textures i can do. Models however, are very important and needed. I know, but i have a small model replica of both the jagtiger and the jagpanther next to my desk, so i can base the textures off those.